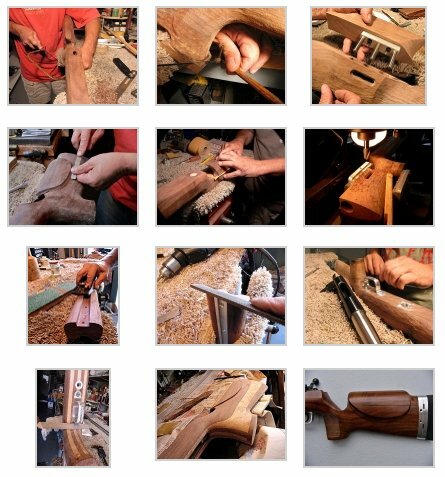 Share the post "Hands of a Master Craftsman — Doan Trevor"
Looking for a perfect gift for a hunter or target shooter? What gift could be more well-received by an avid shooter than a new firearm? And there’s still time to save on a Savage. 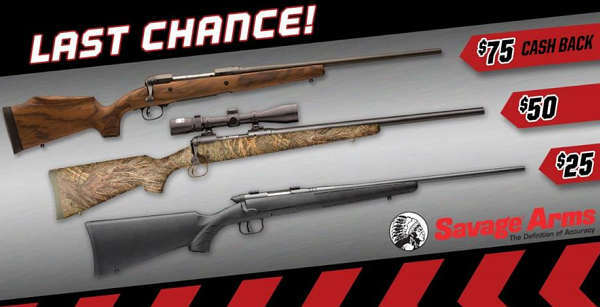 Right now you can save up to $75.00 on the purchase of select Savage rifles. Put the money you save with this “cash-back” rebate into ammo or hunting gear. This cash-back rebate is good through 12/31/2015. A $75.00 Rebate is offered for these products: the Model 10 Predator Hunter, 11/111 Long Range Hunter, 11/111 Lightweight Hunter, 11/111 Lady Hunter, 11/111 FCNS Hunter, 16/116 Bear Hunter or 16/116 FCSS Weather Warrior. A $50.00 Rebates is offered for the choose any Trophy Hunter XP, Trophy Predator Hunter XP, AXIS or AXIS II XP. Rimfire shooters who purchase any Mark I, Mark II, Model 93, Model 93R17, B.MAG or Model 42 will be eligible for a $25 mail-in Rebate. Firearms must be purchased between August 1, 2015 and December 31, 2015. Rebate coupon must be received by January 31, 2016. Offer valid in U.S.A. and Canada. USA funds only. For all the details and restrictions go to SavageArms.com/Promotions. Share the post "Savage Rifle Rebate — Save up to $75.00"